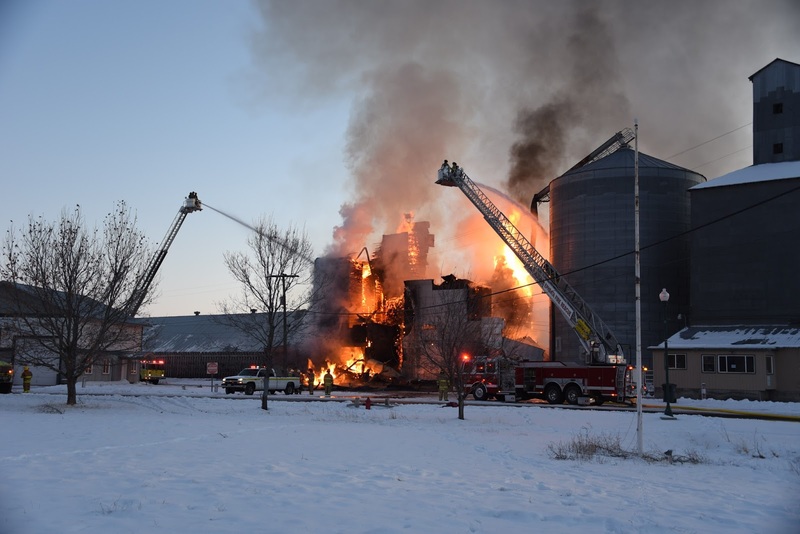 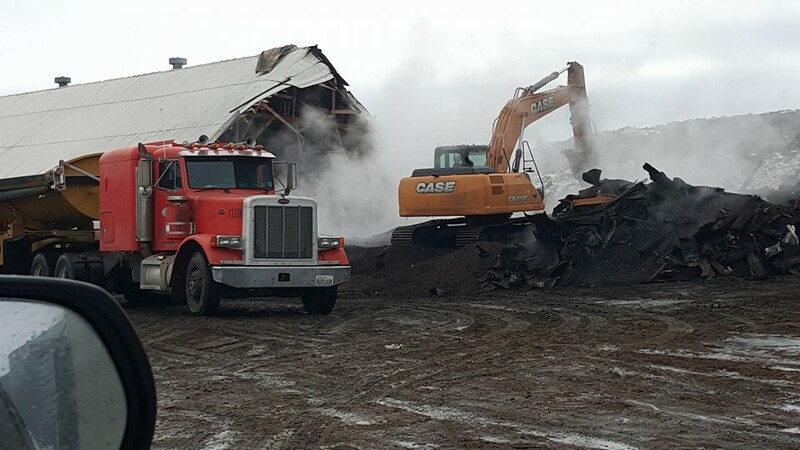 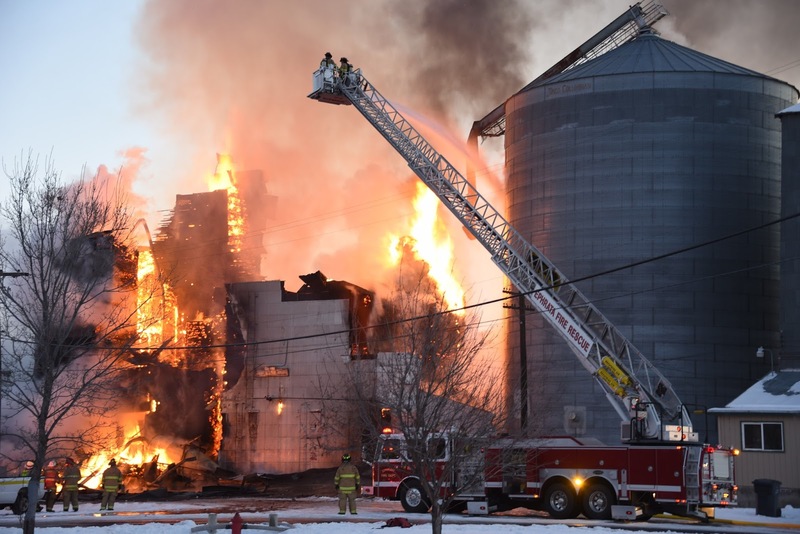 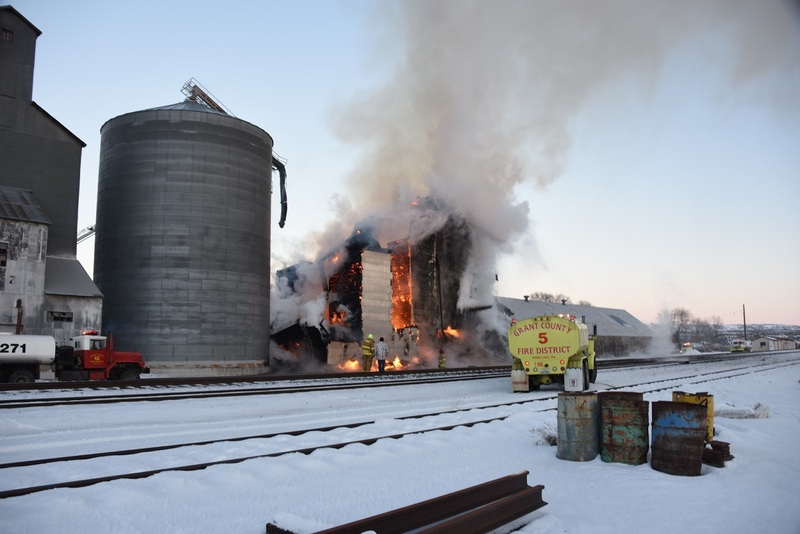 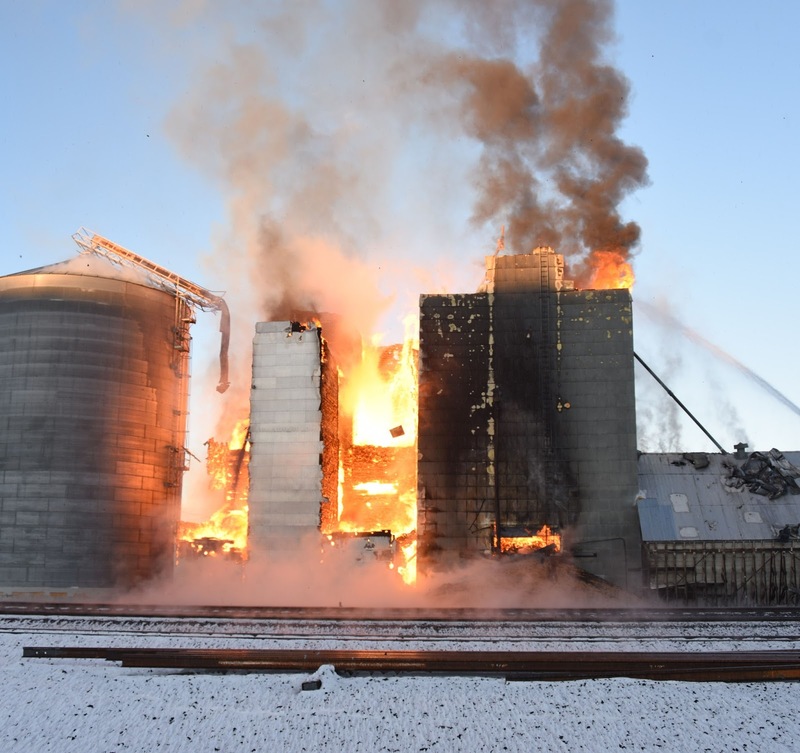 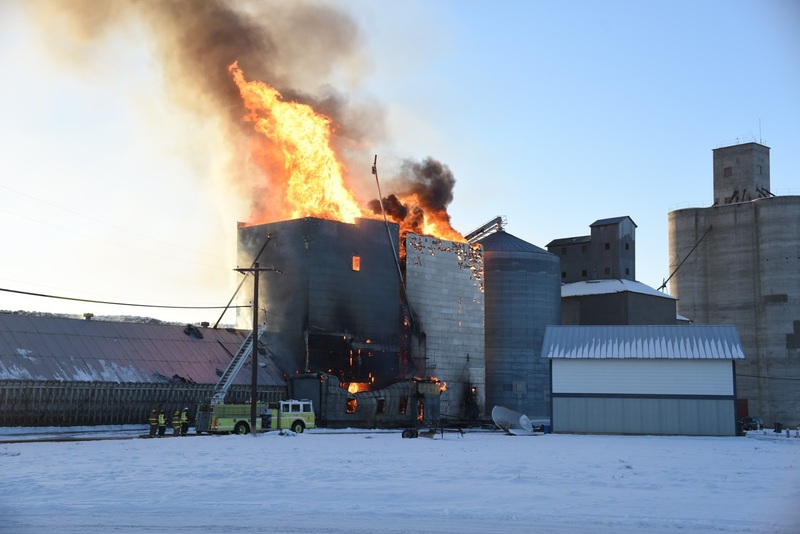 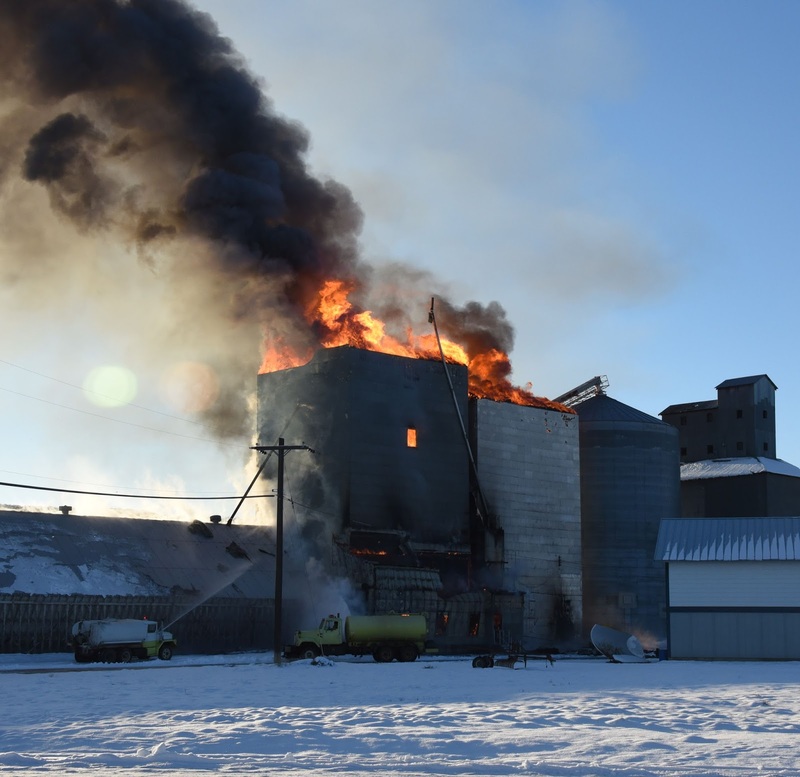 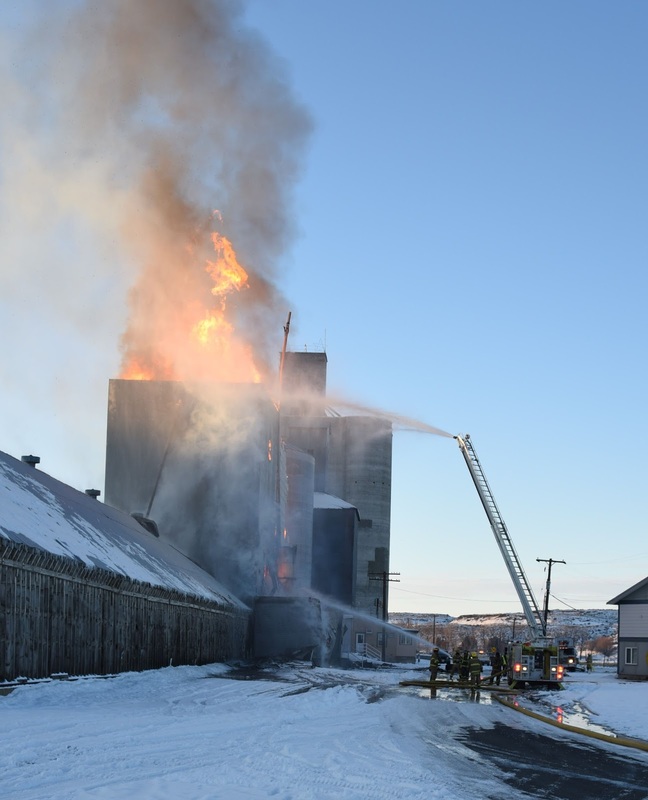 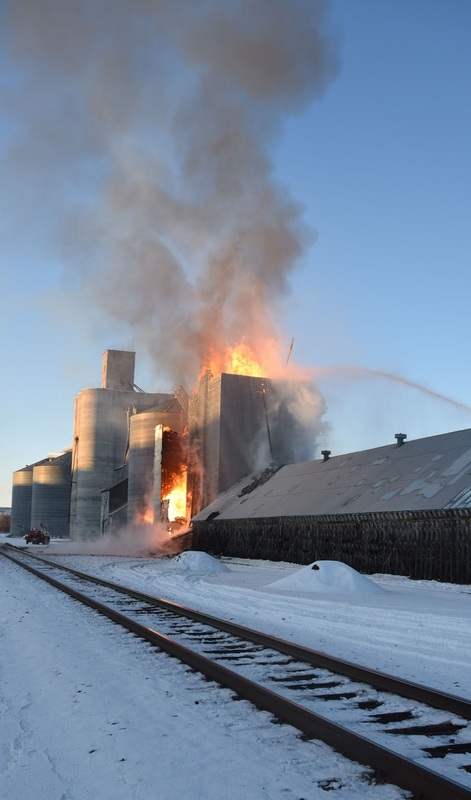 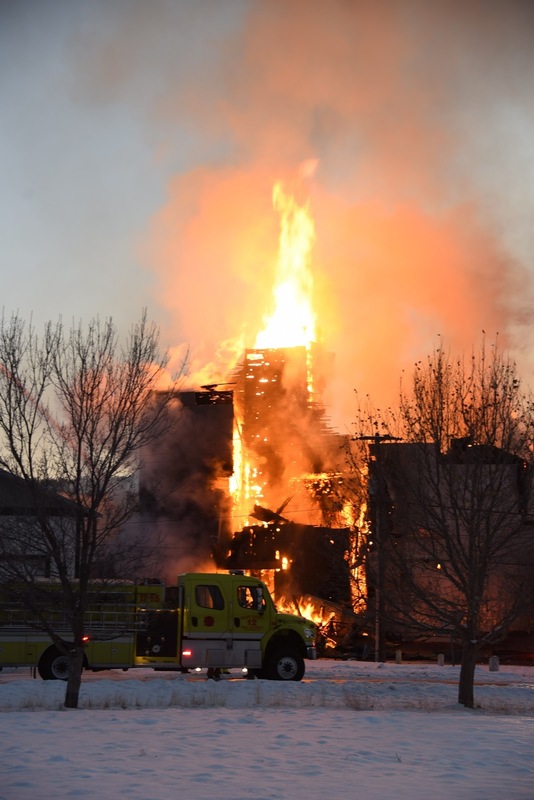 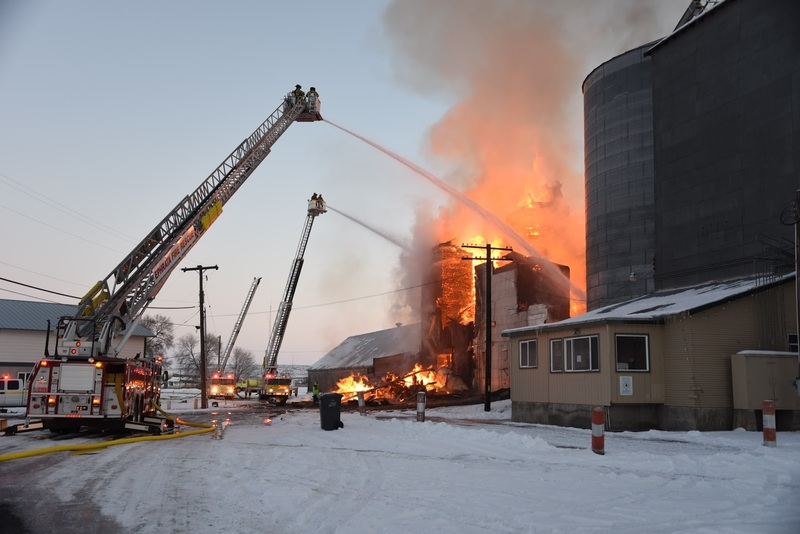 On January 2, 2016, 2 older grain elevators at Wilson Creek caught fire. 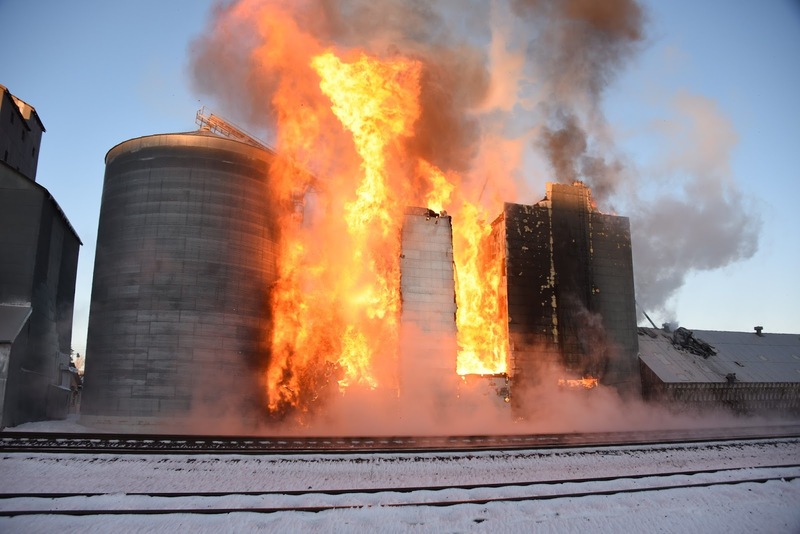 One was filled with canola, the other with wheat. 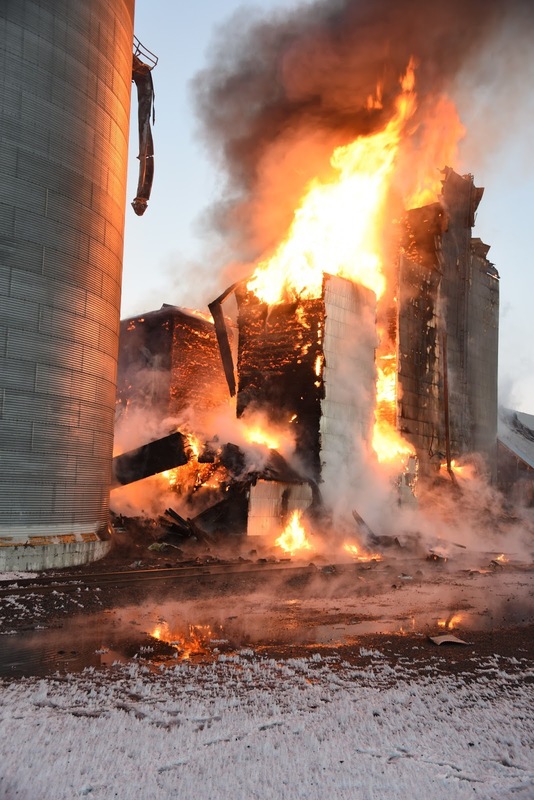 Both were a total loss. 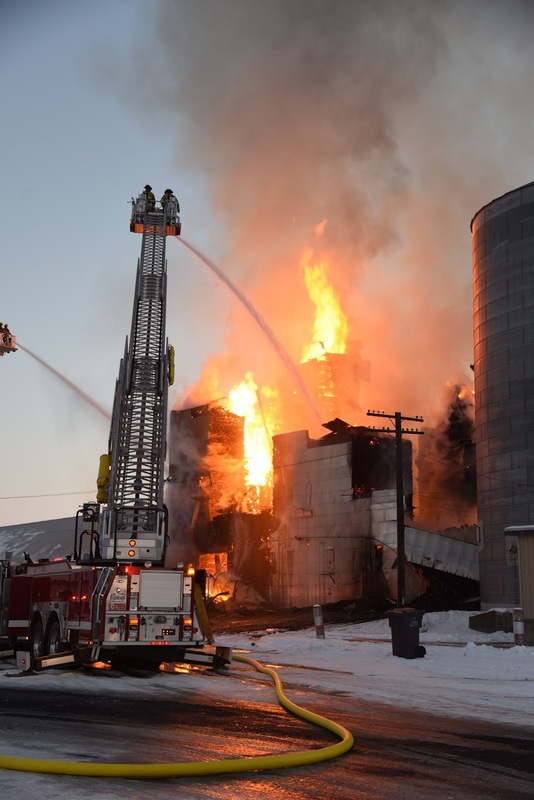 Local fire-fighting trucks from Grant County Fire District 12 were assisted with units from Districts 5 and 13, as well as Ephrata. 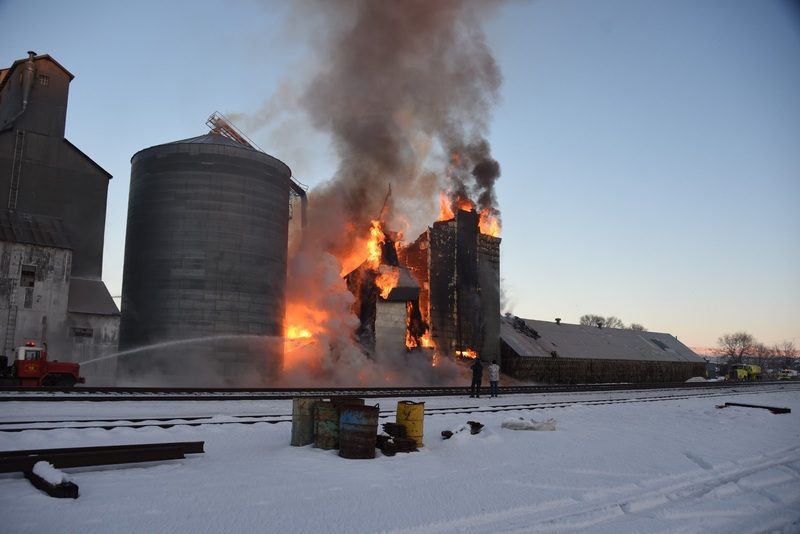 There may have been others. 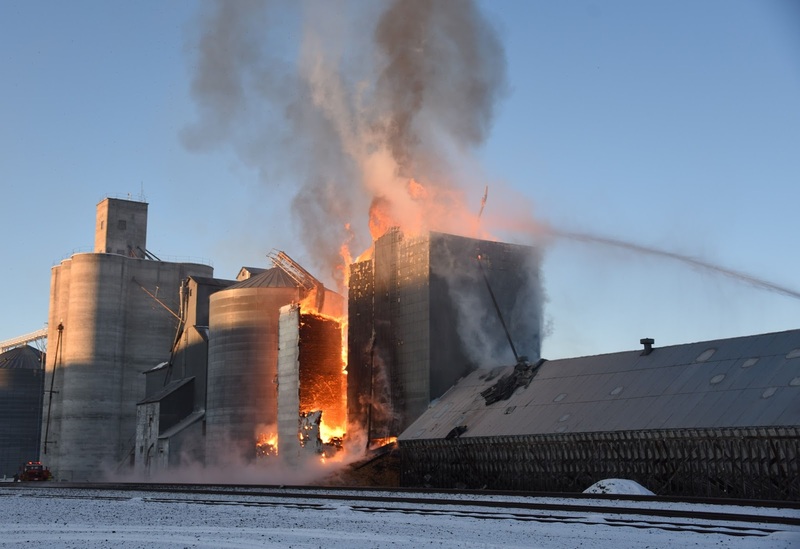 This and another train had alerted the railroad dispatcher that the elevator was on fire. 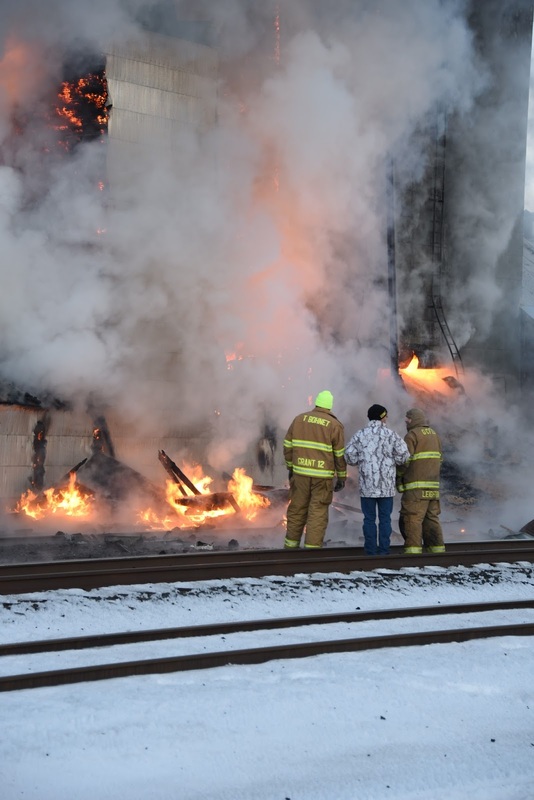 When I arrived on the scene, I caught up with the signal maintainer who said he had told the dispatcher to close down the railroad pending the fire being knocked down enough to resume operations. 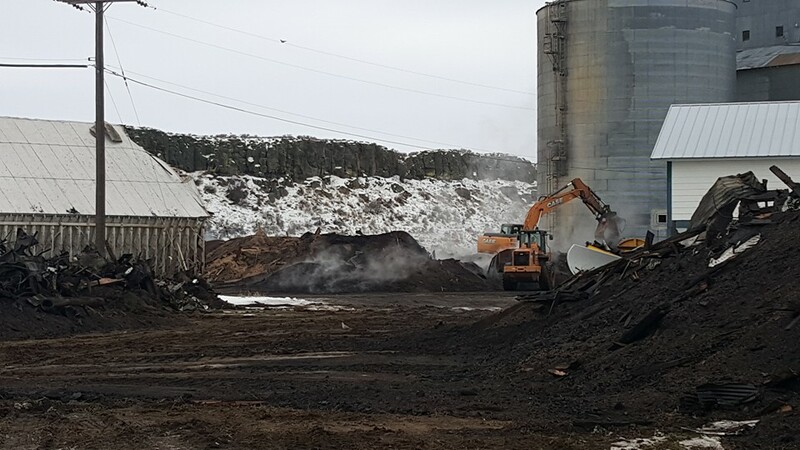 Clean up was in progress on January 11. 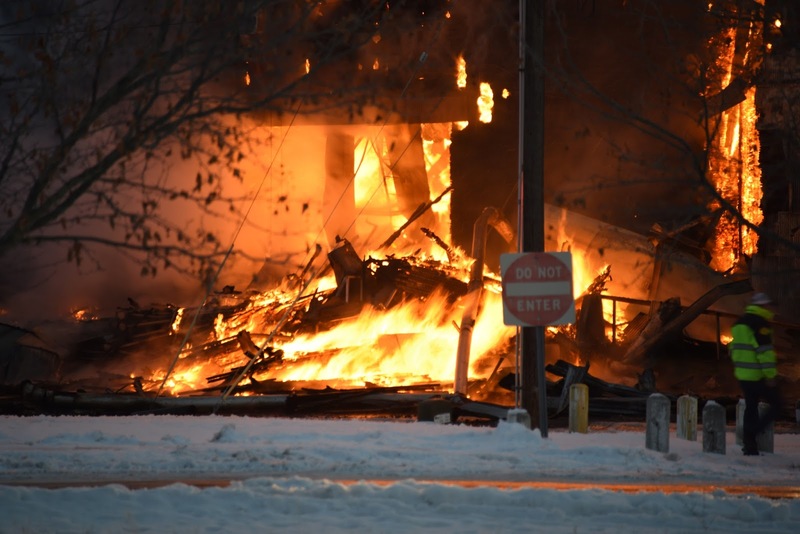 Kathy Thompson photos. 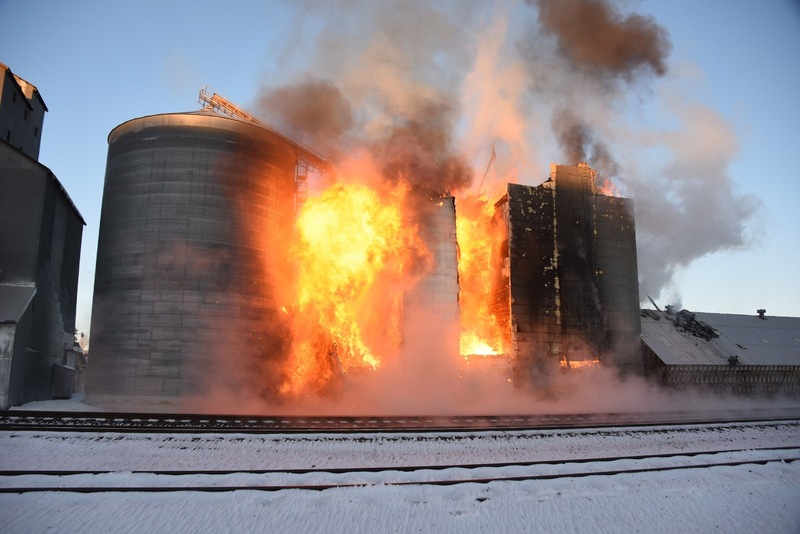 Thanks for sharing, Dan. 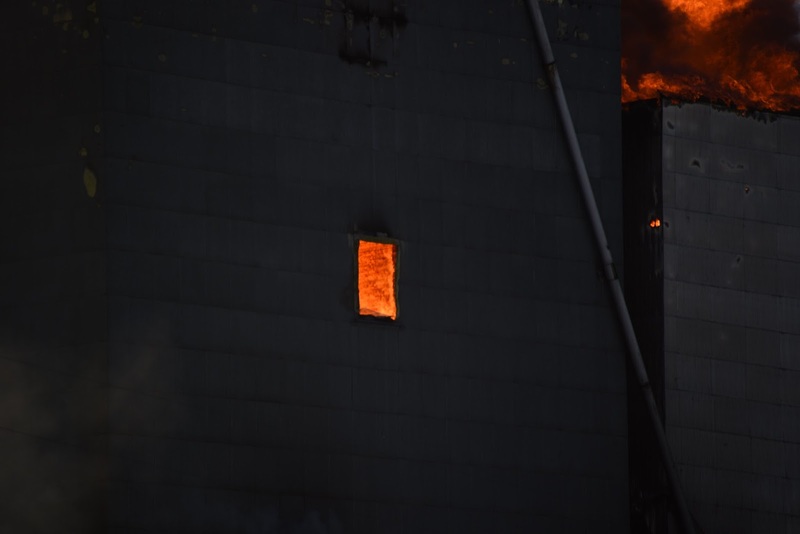 Not often do we see such great detail of an elevator fire.